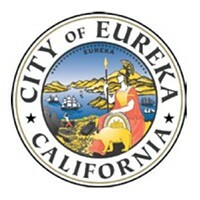 The Eureka Police Department today identified the couple found dead in a D Street home Aug. 3 in a murder-suicide, releasing for the first time that a 7-month-old baby was found on a bed in the same room. According to the release, Astraia Marie Muir, 39, died of “multiple incised wounds” and had to be identified using her fingerprints due to the extensive injuries to her face. The man, identified as Matthew Orion Julius Muir, 42, was found hanging in a nearby closet with “superficial lacerations to his wrists.” The cause of death was asphyxia. The child was taken to St. Joseph Hospital for evaluation but appeared to be uninjured, and was later released to Child Welfare Service staff, the EPD states. A GoFundMe account has been set up for Astraia Muir’s two children. Many who posted on the site describe her as a passionate nurse and dedicated mother with what one person called an “infectious smile” The site can be found here. The Times-Standard reports she had recently filed for divorce from the man who police say killed her. 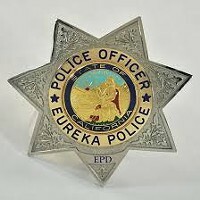 On August 3, 2018, at about 8:08 p.m., officers of the Eureka Police Department (EPD) responded to the 3200 block of D Street for a welfare check call. Based on the totality of the circumstances, officers ultimately forced entry into the residence and began checking the interior. Upon entering a bedroom of the residence, officers located a deceased female laying on the floor. The female had multiple lacerations about her upper torso and head. A deceased male was found hanging nearby in the closet. The male had superficial lacerations to his wrists. Located on the bed was the decedent’s 7-month-old child. The child appeared uninjured, but was transported to St. Joseph ER for medical evaluation. The child was determined to be in good health and was released to Child Welfare Services staff. Due to the extent of the injuries to the female, a visual positive identification could not be determined and identification would have to be made by means of fingerprint results. 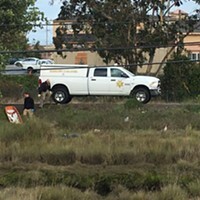 On August 8, 2018, autopsies were conducted and positive identification was released by the Humboldt County Coroner’s Office. The female was identified as Astraia Marie Muir (39 Years old). The cause of death was determined to be murder, by means of multiple incised wounds. The male was identified as Matthew Orion Julius Muir (42 Years old). The cause of death was determined to be suicide, by means of asphyxia. Anyone with information about this investigation is urged to contact Senior Detective Cosetti at 707-441-4315.